There are many early American roads and trails that are of interest concerning our nation's history. 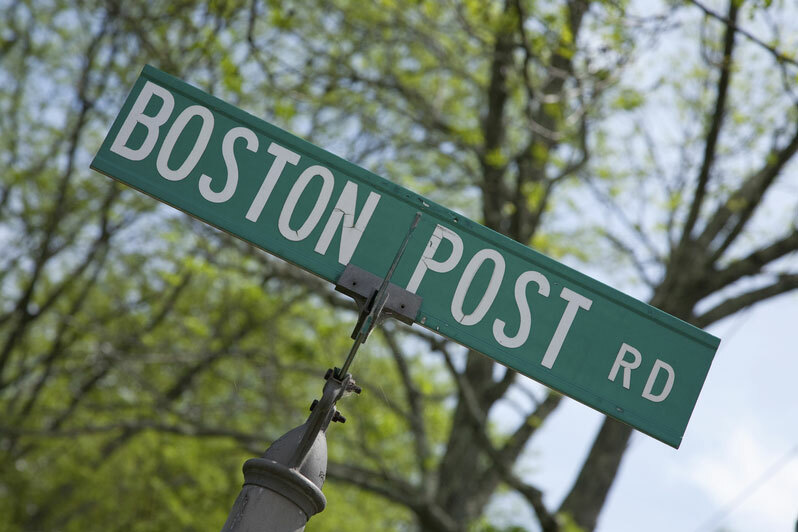 One of those is the Boston Post Road, which started out simply, in 1673, as a riding trail for postal delivery between New York and Boston. The round trip consisted of over 250 miles and took 4 weeks to complete. 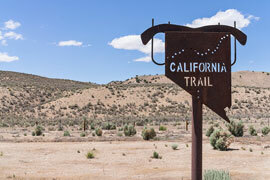 In 1772, the stagecoach shortened this journey to just one week in duration. This was eventually expanded into what became the known as the King's Highway, traversing a distance of 1300 miles from Boston to Charleston, with an average travel time by wagon of at least two months. German and Scotch-Irish settlers traveled south from Pennsylvania on what was known as the Great Wagon Road. This road's 800 mile length first began as a buffalo trail and ran south through the Shenandoah Valley, Virginia and the Carolinas before stopping in Georgia. It was part of what became known collectively as the Great Valley Road, which also included trails known as the Great Warrior Path and the Boone Trail. 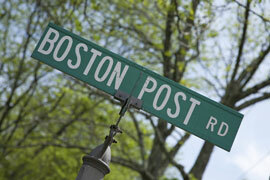 Braddock's Road was an early road blazed from Cumberland, Maryland to a trading post in Brownsville, Pennsylvania. Named after the Delaware Indian who assisted Colonel Thomas Cresap, it was later widened to accompany supply wagons for George Washington. It was also the first road to cross over the Appalachian Mountains. The Federal Road between Washington City and New Orleans began in 1806 as a postal road, and was later widened as a means for easy transport of troops and supplies across the Mississippi Territory during conflicts with the French. This road traversed its way through Native Creek Indian lands and several cities in Georgia and Alabama, joining an old postal rider horse path that linked Athens, Georgia with New Orleans. In 1821, 3,000 Native Americans were present at the signing of the Chicago Treaty stipulating that the U.S. could create and use a road through Native American territory. This road was known as the Great Sauk Trail and came to be considered the best route between Detroit and Chicago (then known as Fort Dearborn), and a primary route for pioneers traveling west. This trail (and the city's strategic positioning at the southern end of Lake Michigan) also contributed to Chicago becoming a major transportation hub for the rail lines. 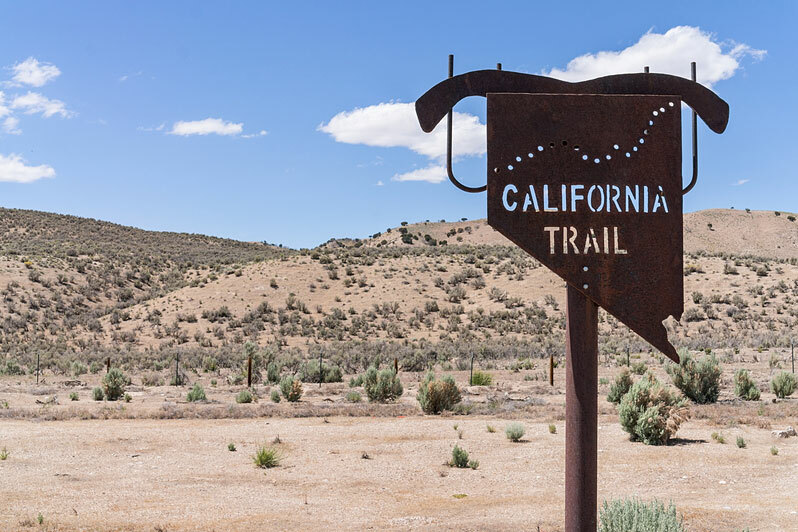 Journeying west, the California Trail (also known as the California-Oregon Trail) consisted of over 2,000 miles of trails from the Missouri River, through Oregon, and on to California, and was created following the discovery of gold in 1848. The Santa Fe Trail traversed the land from Franklin, Missouri, to Santa Fe, New Mexico in 1821, and later served as a commercial and military highway until the railroad was introduced to Santa Fe in 1880. Many other trails and roads existed in the early history of the United States, including the Mohawk (Iroquois) Trail from Albany to Lake Erie, the Mormon Trail from Nauvoo, Illinois to Salt Lake City, Utah, the Oregon Trail from the Missouri River to the Willamette River, and the Pennsylvania Road from Philadelphia to Lancaster. 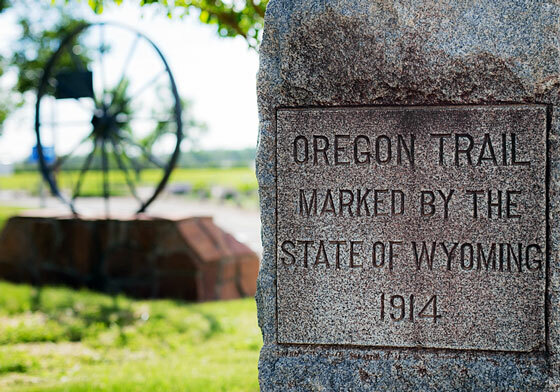 Each path has its own story that adds to the unique history of road travel in these United States of America. 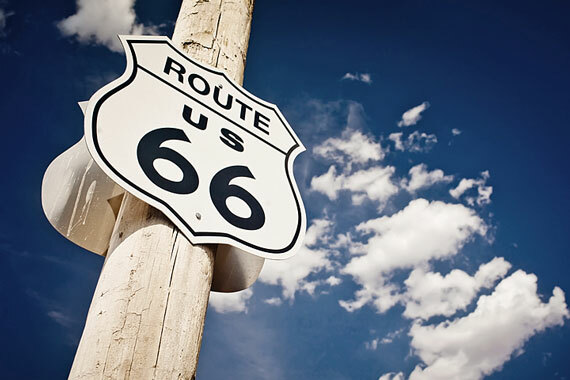 On November 11, 1926, United States Route 66 became one of the first designated roads in the U.S. Highway System. Road signs were erected during the following year.